Sun Basket Reviews, Prices, Discounts, FAQs, Promos, Cost & More! Sun Basket proudly offers easy, delicious meals made from fresh, USDA-certified organic ingredients responsibly sourced from American farms, fisheries, and ranches. Receive a weekly box full of pre-measured ingredients along with easy-to-follow recipes designed to be ready in half an hour. Choose from Paleo, Gluten-Free, and Vegetarian dinner recipes, or check out Sun Basket’s breakfast and family options. Sun Basket’s Classic Plan offers delivery of 3 recipes a week for 2 or 4 people, while the Family Plan offers 2, 3 or 4 kid-friendly recipes a week for a family of four. In addition to healthy ingredients, Sun Basket is also eco-friendly, with recyclable, compostable packaging. Sun Basket offers two basic plans - the Classic Menu and the Family Menu. The Classic Plan costs $71.94 or $143.88. The Family Menu costs $87.92, $131.88 or $175.84. How many calories are in the typical Sun Basket meal? The typical Sun Basket meal has between 500-800 calories per serving. How long does it take to cook a Sun Basket meal? Prep time varies by recipe, but most Sun Basket recipes are ready in 25-40 minutes. Each week, Sun Basket designates "20 minute meals" that are quick and easy. When are Sun Basket meals delivered? Meals are delivered Monday - Thursday between 8am - 9pm. Shipping costs $5.99 per delivery, but is free with your first order. Are there places where Sun Basket doesn't ship? Currently, Sun Basket does not ship to AK, HI, and parts of MT, ND, and NM. To make sure they ship to your zip code, start the sign-up process. How do you skip a week of Sun Basket meals? Skip a delivery by the Wednesday (Noon PST/3 PM EST) the week before your scheduled delivery. Log into your account, go to your schedule and skip weeks you don't wish to receive. How do you cancel Sun Basket? To cancel your Sun Basket subscription, call support at (855) 204-7597 or send an email to help@sunbasket.com. Sun Basket is a rapidly-growing meal delivery service known for its fresh, organic ingredients and incredible recipes designed by head chef Justine Kelly. With paleo, vegetarian, and gluten-free options, this meal kit is an excellent value for the discerning eater. Adam Zbar might seem an unlikely fit as the co-founder and CEO of San Francisco start-up, Sun Basket. After all, Zbar graduated with a degree in economics, then worked as a McKinsey consultant before getting into the tech space. However, his busy and fruitful career became the inspiration for his most recent venture. A working professional, he realized how difficult it was to juggle a career with a healthy lifestyle. Anyone who works long hours knows how tough it is to plan and execute nutritious meals. In 2014, Zbar launched Sun Basket with the idea of delivering delicious, organic, and healthy meals straight to subscribers’ doorsteps. Not a chef himself, he enlisted the aid of renowned chef Justine Kelly, known for her previous work at Iron Chef and Slanted Door. The duo shared a complementary skill set that has proven successful. Since the initial launch, the company has grown a reported 20,000 meals delivered per week (as of June 2017) and scooped up a $9.2 million investment from Unilever. When we spoke with customer service, the friendly agent told us the company had recently doubled its number of employees and moved into a new office space. It appears Sun Basket is poised for tremendous growth in the expanding food delivery industry. We waited with eager anticipation for this meal kit because it was one that checked all the boxes – paleo, organic, and sustainably sourced. Curious what we thought? Keep reading! Sun Basket offers two basic menus – the Classic Menu, which delivers 2 or 4 servings of 3 recipes per week and the new Family Menu, which has four servings of 2, 3 or 4 recipes per week. The Classic Menu costs $11.99 per meal ($71.94 or $143.88 a box), while the Family Menu rings up at $10.99 per serving ($87.92, $131.88 or $175.84 a box). See the break-down of pricing above. So far, this is the most affordable organic meal delivery kit we’ve come across. By comparison, rival organic company Green Chef has a family omnivore plan priced at $10.99 per serving, but all its other plans are priced $11.99 per meal and up. Shipping costs $5.99 but is waived with your first order. Get an additional discount on your first order here. Each week, you select meals from 18 dinner options, plus add-ons that include salads, snacks, and sauces – (this has changed from the menu at the time this review was originally published, which featured ten dinner entrees and two breakfasts). The menu features an assortment of diet-friendly options, including paleo, vegetarian, and gluten-free meals. If you’re trying to stick to a specific diet, like we are, Sun Basket makes it easy! Sun Basket kits are delivered on Mondays, Tuesdays, Wednesdays, and Thursdays by FedEx delivery trucks; the time of delivery will depend on the driver’s regular route. Thanks to Sun Basket’s packaging, your ingredients will be okay even if your package is dropped off at your doorstep and you don’t stumble in from work until after sunset. Need to pause your delivery or make a change? No problem! The Weekly cut-off is the Wednesday before delivery at 3 p.m. ET. Currently, Sun Basket ships to every state except for Alaska, Hawaii, and parts of North Dakota, Montana, and New Mexico. Our package was shipped on a Monday from a shipping center in New Jersey, arriving at our doorstep in Maine on Wednesday. As with most meal delivery kits, Sun Basket packaging is 100% recyclable – from the plastic containers to the ice packs to the box itself. We were excited to unpack this beautifully designed box which screamed “FRESH” with its depictions of farms, roadside stands, and fishermen. As we unloaded the box, we came across the Sun Basket Recipe Book – a glossy magazine-looking publication containing all the Sun Basket recipes for the week (even those we didn’t order). Under a layer of insulation, wedged between still-frozen ice blocks were three bags containing the separate ingredients needed for each meal. Below a cardboard divider and additional ice packs were the week’s meats – chicken, steak, and ground turkey. In 2017, Sun Basket used recycled PET (or plastic bottles that would otherwise be destined for the landfill) for its fluffy insulation, but now they use shredded recycled paper filling stuffed inside recyclable kraft paper. Sun Basket’s ice packs are made from 98% water and 2% non-GMO cotton. The packaging kept the ingredients fresh and cold. However, there was one minor glitch with the spice packaging. Of the recipes we ordered, two of the three had spice explosions. The spices came in those little flimsy plastic containers that a pizza place might send with to-go orders to hold the red pepper flakes and parmesan. Those containers aren’t sturdy, so it seems that some pressure on the sides of the container caused the lids to pop off, dusting the inside of the paper bag, and all the other ingredients with paprika, sumac, and chili spice blend. I tried to recover what I could but was disappointed that we lost some of the crucial flavorings for these dishes. Note, as of 2019, it appears that Sun Basket uses recyclable plastic bags in lieu of the plastic containers. We came in from a long weekend of hiking Maine’s beautiful Mt. Katahdin and couldn’t wait to dive into our Sun Basket meal kit. The turkey chili sounded hearty and filling after our weekend adventures, so I jumped into making it. The recipe was supposed to take about 30-40 minutes to prep, but I found it took much longer to get the chili to cook down to the right thickness. In all, I think this took me around 50 minutes to get on the table. The other two recipes were less time-consuming but still took longer to fix than the instructions indicated. These took just over 30 minutes each to prepare. Overall, I felt like Sun Basket did it’s best to make things easy to prep. For example, all dishes only required two kitchen tools (bowls, pots, pans), which meant our kitchen wasn’t a total disaster at the end of cooking. Plus, they were nice to pre-cut the jicama for the salad, which meant one less thing to do. I noticed that Sun Basket typically offers at least one 20-minute meal per week (now, they offer more fast meal options). So, if you don’t have hours to spend in the kitchen each week, try to stick to some of the service’s simpler meals. One of my favorite things about Sun Basket is that everything is organic! In an ideal world, I would only eat organic food. However, when you live in a small town where organic food is a luxury, sticking to an organic diet is tricky. Sun Basket’s ingredients all seemed fresh and tasted great. My only complaint is the spice packaging, which could use some improvement. Sun Basket’s portion sizes were spot on for our first two meals – the turkey chili and the steak. In fact, I think if we hadn’t spent the weekend running up mountains and canoeing, I might have been able to save some of these meals for leftovers. However, I was ravenous from exercising, and the food was delicious, so I ate every last bite. 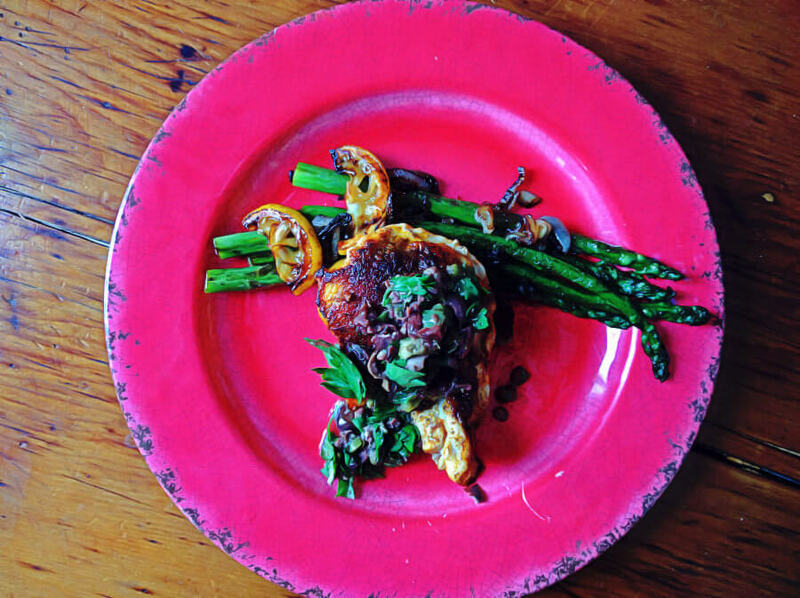 The chicken with asparagus and olive tapenade was the perfect portion for me, but the hubs said he was still hungry after licking his plate clean. I found him rustling through the pantry looking for a second dinner a few hours later. All the recipes are analyzed for basic nutrition information (calories, protein, fiber, added sugar, carbs) which you can review before selecting your menu for the week. Since we were on the Paleo plan, the recipes were high in protein (between 32 and 39 grams) and low in carbohydrates (between 13 grams and 53 grams). My favorite part was that these recipes all had zero added sugar, which is one of the most important things we look for in food. It’s so unnecessary to add sugar to ingredients that naturally taste delicious! If you’re looking for a health-conscious meal box, Sun Basket has incredible menu selections. Most affordable organic meal delivery option on the market, with a fantastic menu for paleo eaters. Don’t feel like you have enough time to meal plan, shop, prep, and get dinner on the table? Sun Basket’s Quick & Easy Plan features simple, easy-to-prepare entrees with faster prep and cooking times. In under 20 minutes, you could be enjoying a salmon and quinoa salad or digging into a bowl steak teppanyaki with mushrooms, squash, and carrots. Now you can skip the drive-thru and feel good about sitting down to a delicious, homecooked meal. If you have trouble deciding what you want to cook or which restaurant to visit, then let the chef choose for you. The chef's choice meal plan at Sun Basket will surprise and delight you with eighteen hand-picked recipes from around the globe. House-made sauces, custom spice blends, organic produce, responsibly sourced seafood and meat, and sustainable ingredients come together to create a host of tasty dinners. Enjoy everything from savory pork chops with healthy wilted greens to roasted salmon complemented by sweet date-apple salad and pearl couscous. Another popular selection is hearty steak and potatoes frites with mushrooms and kale. Are you counting your carbs? Or just trying to avoid too many breads or grains? Then the carb-conscious meal plan from Sun Basket is your ideal choice. Save time by letting Sun Basket count your carbs for you. Each carb-conscious meal plan serving has fewer than 35 grams of carbs and at least 25 grams of protein. Enjoy responsibly raised meats that are free of antibiotics and hormones. Meal selections include succulent pork chops with radishes and braised leeks and salmon and braised fennel smothered in a tantalizing charged orange and green goddess dressing. One of the most difficult parts of eating paleo is planning your entrees and maintaining variety. Sun Basket can help by planning for you and providing high-protein meals that are rich in good fats and omega-3s. Popular paleo recipes from Sun Basket include Vietnamese shaking beef smothered in muoi tieu chanh sauce and Thai turkey lettuce cups that use greens in the place of bread. Also enjoy the green goddess steak salad with roasted carrots. The Mediterranean diet has grown increasingly popular because of its health benefits and links to longevity. The Mediterranean meal plan from Sun Basket combines wild-caught seafood and other healthy fats with flavorful vegetables, healthy grains, and fresh herbs. Enjoy orzo bowls bursting with sun-dried tomatoes, broccoli, and pistou. Or chow down on chicken breasts and muhammara and an apple-celery salad. One of the most popular meals in this plan is the fresh salmon with charred broccoli and new potatoes. Avoiding gluten, soy, and dairy can be an onerous task. These ingredients seem to be in everything! But with the lean and clean meal plan, you don't have to spend hours scouring package labels. Enjoy well-proportioned, low-calorie meals (about 550 calories per serving) without dairy, soy, gluten, or added sugar. Feast on salmon doused in cilantro-lime sauce paired with a pear-cashew salad or try the flavorful chipotle turkey chili with cucumber-sumac salad. Also popular is the steak with chimichurri and harissa-roasted sweet potatoes. Select the gluten-free meal plan and be confident you'll be getting foods that fit your diet without all the research time. Enjoy everything from grilled steak salad with peach to steak and sweet potato frites with kale and mushroom. Try the pork chops with mostarda and wilted greens or the wild-caught salmon garnished with tasty green beans and roasted new potatoes. The vegan diet is one of the most challenging diets to maintain. Finding truly vegan foods requires a lot of time and effort. With Sun Basket, however, you need only select the vegan meal plan to receive ready-to-cook vegan meals at your door. Sun Basket's vegan meals are replete with plant-based proteins. Feel like a gourmet cook with sweet potato and black bean chili. Delight your taste buds with a crispy tofu stir-fry featuring sweet Sichuan sauce on a fluffy bed of jasmine rice. Another popular vegan meal is Sun Basket's mushroom muffulettas with olive tapenade, which is served with a side of kale chips. Avoid meat the easy way with Sun Basket's vegetarian meal plan. High in protein, organic, and delicious, these meals include the popular pappardelle with fresh wilted greens, hazelnuts, and ricotta salata. Try the Tokyo fried rice mixed with corn, edamame, and togarashi. Or sample another popular global cuisine: chilaquiles verdes with avocado, soft-scrambled eggs, and queso fresco. When the doctor first puts you on a diabetes-friendly diet, the mealtime planning can seem overwhelming. Sun Basket is here to help by providing convenient, ready-made meals that are high in fiber and carb conscious. Sun Basket offers green harissa sole, lettuce-wrapped turkey burgers with green goddess dressing and lentil salad, and seared pork chops garnished with tasty blueberry-apricot sauce and supplemented with sautéed greens. Braised chicken with artichokes, mushrooms, and almond-olive relish is another popular diabetes-friendly meal. If you're avoiding red meat but still enjoying fish, eggs, and milk, try Sun Basket's pescatarian meal plan. Fresh and sustainably-sourced seafood meets organic produce and custom spice blends to create delicious pescatarian meals like salmon with green tahini. Enjoy also shrimp tacos diablo with pickled cabbage and lime. Additional popular salmon dishes include the tasty fish served with cilantro-lime sauce and pear-cashew salad or with pearl couscous and date-apple salad. This paleo-friendly dinner is packed with protein and nutrition, and best of all, just takes 20 minutes from stovetop to plate. Enjoy your choice of top sirloin or organic beef, sautéed with yellow onion, zucchini squash, rainbow carrots, and cremini mushrooms. All you must do is marinate and brown the steak, then chop and cook the veggies. Before you know it, you’ll be chowing down on a healthy, satisfying stir fry reminiscent of the food from your favorite neighborhood hibachi spot. This traditionally-styled Mexican dinner is simple to prepare. Even though this gluten-free hearty chili takes only 15 minutes to make, it delivers on the flavor of a long-cooked stew. Your meal kit contains the fresh loose chorizo, black beans and all the spices that you will need to create a mouth-watering dinner treat. To prepare, simply chop the onion and cilantro, drain the liquid from the chorizo sausage and rinse the beans. Add the onion, cilantro, and spices to a bit of oil in your sauce pot, then add the meat, beans tomatillos and tomatoes. Add in some water, stir and cook for 8-10 minutes. Season as desired and enjoy. Easy to make in 20 minutes, these very tasty gluten-, dairy- and soy-free lettuce cups will be gone before you know it. The meal kit contains your ground turkey, tomatoes, lettuce, carrots, cashews, and lime. The lemongrass paste, basil, and sambal oelek round out the ingredients. Prep and cooking are a breeze. Drain the turkey and brown it in hot oil along with the lemongrass paste and a bit of salt and pepper. Then prep the vegetables, add the turkey, and toss together in a large bowl. Spoon your dinner onto the lettuce leaves on individual plates to enjoy. Just a small reminder: make sure you add only the amount of sambal oelek you’re comfortable with. Fresh spring vegetables and feta sauce make this traditional vegetarian spring pasta dish a delight for the senses. While you prep the vegetables, start a pot of generously salted water to boil for the pasta. In a large frying pan warm the oil and add the vegetables. When they start to soften, add the vegetable broth, stir and boil. When they’ve reached a boil, turn them down to a simmer and stir occasionally. Cook the fresh pasta until just tender. Add the pasta to the vegetables and stir in the feta cheese sauce. Done - except for the enjoyment of eating! Spiced fajitas with touches of fresh cucumber salsa and Greek yogurt make this dinner a treat for anyone. Take a few minutes to dice the meat and add the fajita spice blend. Sear the steak in a frying pan and move that off to the side. While that’s resting, prep the vegetables (except for the cucumber) and cook them slightly in the same pan the steak was in. While you are preparing the cucumber for the salsa, let the meat and vegetables simmer together. All that’s left to do is warm the tortillas and create your own fajita masterpiece. This fantastic dairy-free dinner almost takes longer to say than it does to prepare. After chopping the beets, place them in a medium bowl with the dill and walnuts. Toss them for a minute with the lemon-tahini dressing. In a different bowl, stir together the carrots, lemon juice, and parsley. Warm the flatbreads over a flame, or in a dry medium frying pan until they’re lightly toasted, spread the skordalia lima bean dip evenly over the flatbreads and top them with scoops of the two salads. These are so fresh and tasty, you’ll swear you were sitting at a beachside café on the Med. With meals this good and easy to make, it’s no wonder Sun Basket is turning heads in the meal kit delivery business. Meal delivery kit options are everywhere online. It seems that every time you turn around, a new option appears. Most of the delivery services have great reputations, but one that stands above the rest is Sun Basket. 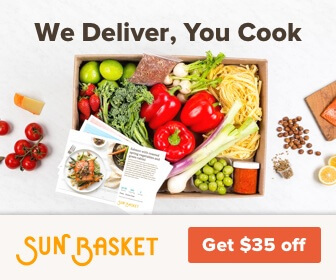 Founded in 2014 by Chef Justine Kelly and entrepreneur Adam Zbar, Sun Basket has quickly become one of the best meal delivery services in the country. If you are trying a meal delivery service for the first time or considering switching from your current plan, Sun Basket deserves your attention. Here are 6 reasons why you should consider Sun Basket. 1. Eleven different food plans. 2. The food tastes great by design. Why bother going to all the work of designing meals if the box ingredients arrive in tastes better than the entrees? Flavor first isn’t just a slogan at Sun Basket; it’s the reason to create meals in the first place. Dietician-approved meals, signature sauces and spice blends, and the best ingredients are the heart of each meal. Each recipe comes with all the ingredients pre-measured and takes no longer than 30 minutes to prepare. Life is busy enough - you don’t need to spend any more time preparing your meals than necessary. Sun Basket delivers fresh, high-quality meal kits to your door. All you do is prepare them in a few easy steps. Justine Kelly has been a professional chef in the Bay Area for more than two decades. Before she started Sun Basket, she was at the renowned James Beard restaurant, Slanted Door. Her goal is to create meals for Sun Basket customers that are as delicious and wholesome as the meals she serves in her own home. Chef Justine works only with food suppliers she trusts. This is important in the food industry because sometimes the food providers are less than forthcoming. Transparency is important to Sun Basket. The produce is sourced from only the best farms. Of all ingredients used in Sun Basket recipes, 99% are organic and 100% are non-GMO. The meats are antibiotic and hormone-free and the seafood wild-caught and sustainably sourced. 6. Sun Basket puts its beliefs and values on display. Good food that tastes good should be first and foremost in any meal delivery company. Not only is every ingredient in every meal top quality, but the box the meal comes is easily recyclable and compostable. There are many more reason than just these six to make Sun Basket your meal kit delivery service. Chef Justine takes personal pride in creating each recipe. The quality of the meals reflects that pride. Sun Basket a conscious company striving to do good, not only for you but for the rest of the world too. Are you ready to try Sun Basket yourself? Get started now with our Sun Basket promo code for 50% off. That’s six meals for the price of three, or just $5.75 per serving! This past week we had the turkey chili, steak with New Mexico salsa, and chicken with olive tapenade. All 3 of these meals were very simple to prepare and minimized the number of pots/pans getting dirty. We have tried a number of different meal delivery services and we were excited about Sun Basket because of the variety of diets & plans that it offers. It checked off a number of our ideal boxes – paleo, organic, sustainable, gluten-free, and a few others. Overall, we really enjoyed the meals. They weren’t overly difficult to prepare, and they didn’t try too hard to craft ethnic recipes (like some services do). There were a few hiccups with the packaging. 2 out of the 3 spice packets lost their lids and seasoned a bit too soon and few too many things inside the paper bags. We salvaged enough out of the bottom of the bag to use for the meal, so it didn’t ruin the meal, but it seems like an issue that needs sorting out. Our turkey chili was good, but lacking something. I find most chili is better the 2nd day, so maybe it just needed longer to simmer on the stove (we were hungry and didn’t want to wait). The highlights of the two other recipes were the salsa & olive tapenade. It was nice that these came already prepared, but part of me felt like the “key” ingredient of the recipe was something that I didn’t actually contribute to preparing. 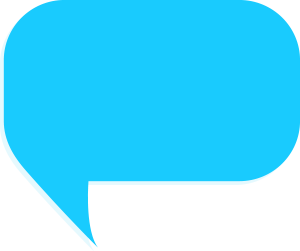 We’re going to continue our journey trying as many services as possible, but I have a feeling we’ll be coming back to Sun Basket very soon! Loved that this service had paleo-friendly, organic meals, which most of the services out there don’t offer. The Sun Basket site says most meals take 30 minutes to cook, but I found that this was not the case. All the recipes I tried took 45 minutes or more – definitely not one of most time-efficient services I’ve tried. Overall, thought the food was good and would probably order again.